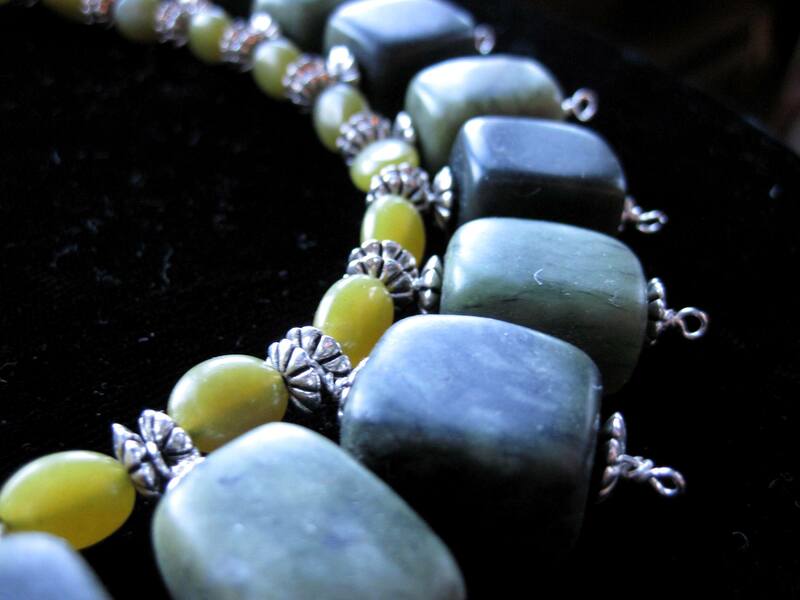 January’s arctic temperatures have led to a fair amount of jewelry making. 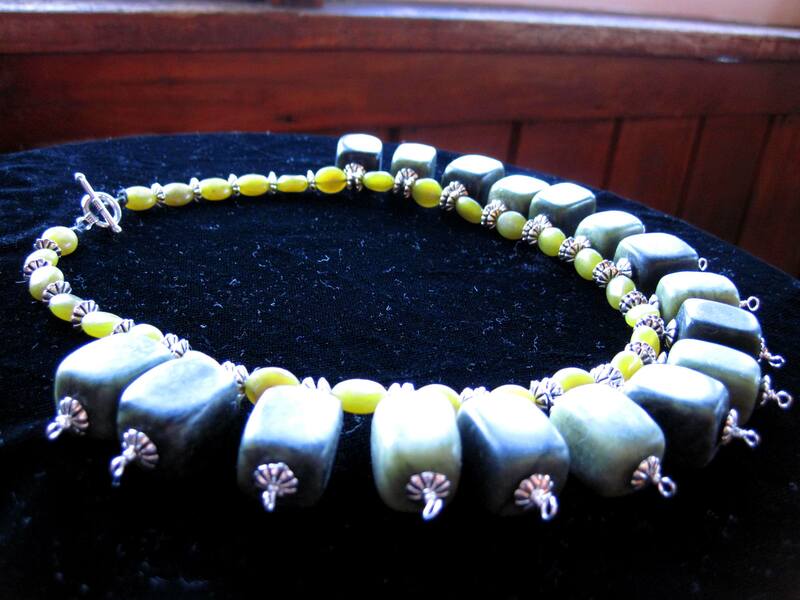 In early January, I made a necklace consisting of a series of wire-wrapped pendants of deep green Serpentine and sterling silver rondels, then strung them on heavy waxed jeweler’s cord with Olive Jade and more sterling rondels. 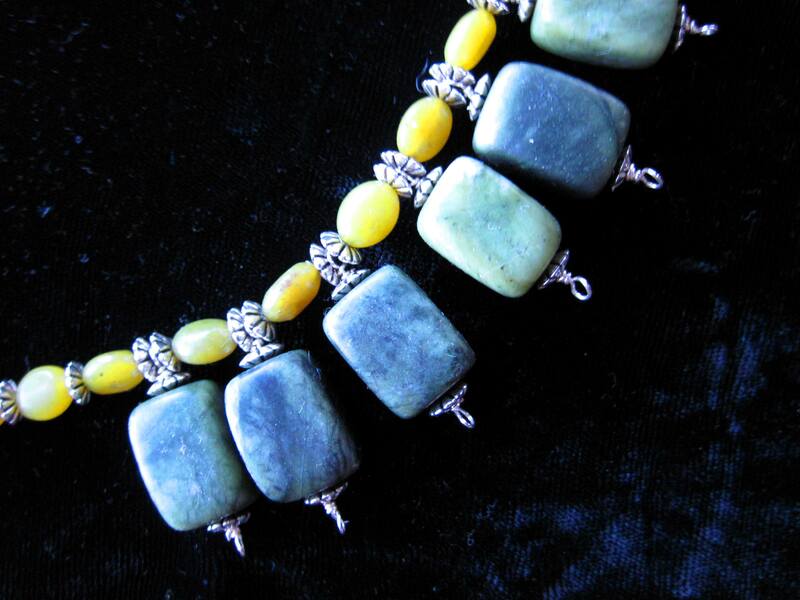 It is a heavy necklace, probably better labeled a collar, as it sits right at the collarbone of the wearer. In my experience, stone is better strung on natural materials; few synthetic cables are able to cope with the weight or give the desired drape that a natural cord provides. 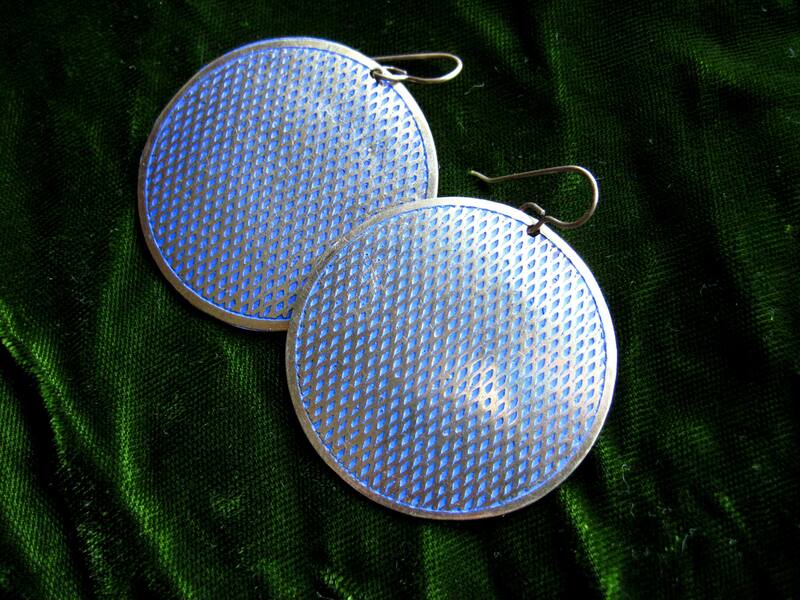 These brass pieces found at a thrift store made great earrings. There is an unusual peacock blue oxidation inlaid in the pattern on the brass. Finally, last week’s visit to the Lake Superior Ice Caves yielded some beautiful pale pink sand perfect for filling the memory capsule earrings I’d been planning to make. These brass-capped tubes feature a brass wire that runs the length of the tube, which, when bent and secured at both ends, holds the container securely together. Any solid material could be used to fill the tubes. Especially for those who want to remember a special place or occasion, this project provides a way to literally preserve memories. 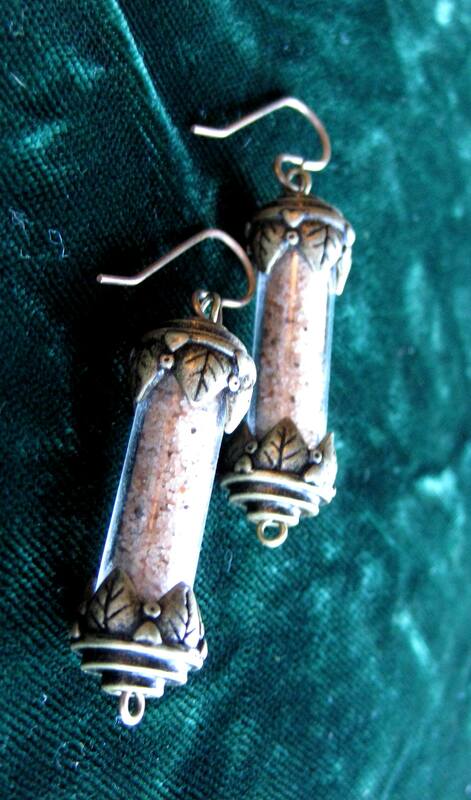 The brass capsules are available from a seller on Etsy or at your local JoAnn Fabrics.